I always like to add a challenge to my costumes. 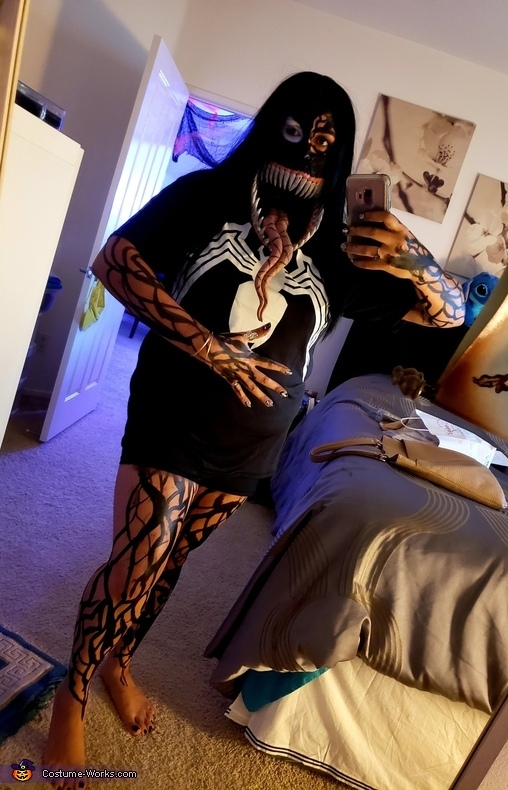 This year I decided to create a custom Venom Costume. I Built the jaw from Scratch. I am wearing the costume, the idea came from when I saw the movie and had seen a video a year ago about a crazy big jaw.